The melancholic autumn song is the song of Teryan’s heart. The lyrical hero loves the world, yet its blows leave him with scars. On the one hand, he is fused with the dusk and autumn colours, on the other hand, he complains against the dark world forcing the light of the soul wither. In 1906 his first book, “Twilight Dreams”, a collection of poems, made him an immediate celebrity. His works were instantly embraced by Armenians all over the world. Vahan Teryan’s songs breathe with gloom and sorrow, spring and love, the native land and its fate. The themes of sorrow spread in various branches through “Twilight Dreams”, “Night Remembrance” and “The Golden Legend”. Teryan created his ideal of beauty, his great love as a pharos in life’s dark routes. While illustrating moral matters he looks deep into the human soul unveiling the beauty and glory of love sealed with eternal enchantment. The author also ponders over the human fate. The key innovation by the poet in the Armenian versification was syllabic-emphatic principles. He was the first to use assonance in the Armenian poetry and extended its rhyming compass. 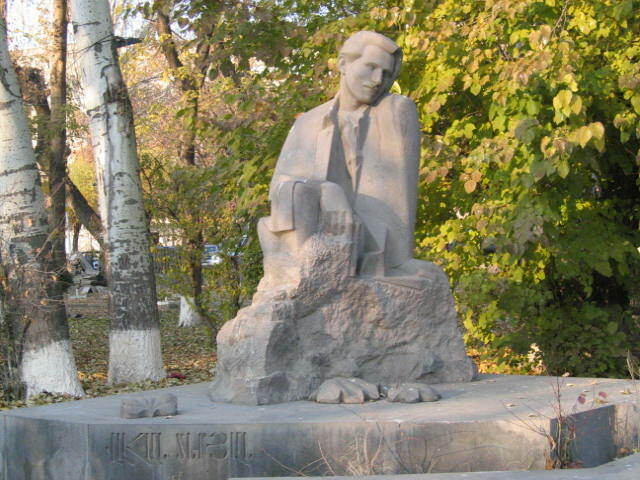 Teryan was the first to use poetic devices such as sonnet and triolet in the Eastern Armenian poetry. All of this turns Vahan Teryan’s poems into harmonious melody.